Spaying is a common surgical procedure performed on female cats and dogs. The process is called an ovariohysterectomy and involves removing the patient’s uterus, ovaries and fallopian tubes, rendering the animal incapable of reproduction. South Broward Animal Hospital veterinarians recommend spaying your pet at 3-6 months, depending on your dog’s breed and ideally before the patient’s first heat. Neutering is performed on male cats and dogs. This process castrates the animal, removing their testicles and making them unable to impregnate females. 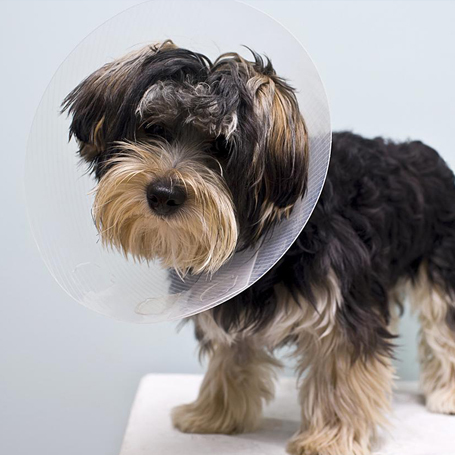 Neutering is advised when your pet is 3-6 months old, but can be performed on older animals as well. To learn more about spaying and neutering, or to schedule an appointment, contact your South Broward Animal Hospital veterinarian today.